Latest management research has proved that sharing of information and collaboration among employees significantly improves the productivity and bottom line of the enterprise. ebizframe, an internet, and web-based ERP software development can help you share information between various departments/functions and let them collaborate better and help all of them to move towards common organizational goals. Sharing does not mean that everyone has access to all the information in the organization. Information in ebizframe, a web-based ERP software system is controlled by restrictions and access rights. So you have full control and decide on “who-sees-what” and “who-does-what”. We are offering ERP software development services in different countries like Uk, USA, China, Australia, In India as well. 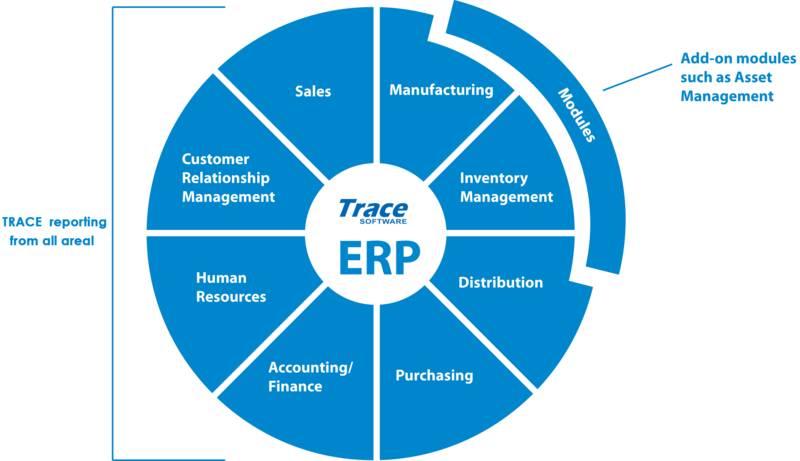 Trace has the right human resource, technical knowledge and domain expertise to deliver the best of assistance to our valued customers. Our product sustenance support not just keep the developed product features resourcefully sound but also upgrade the features in compliance with the latest technology on board. Planning and assessment of the software that takes care of failure point identification, solution identification, improvement implementation, change management practices and strategies. We conduct relevant R&D that compromises product design and implementation. This we do as a co-creator and even as the outsourced service provider. We also take up cost minimization, risk management, ongoing product support and operational intelligence. We take up quality assurance tasks as the ongoing product support to ensure the high integrity of the product for its entire lifecycle. Rendering product standard maintaining services that include lifecycle management, solution enhancement and IT infrastructure management.